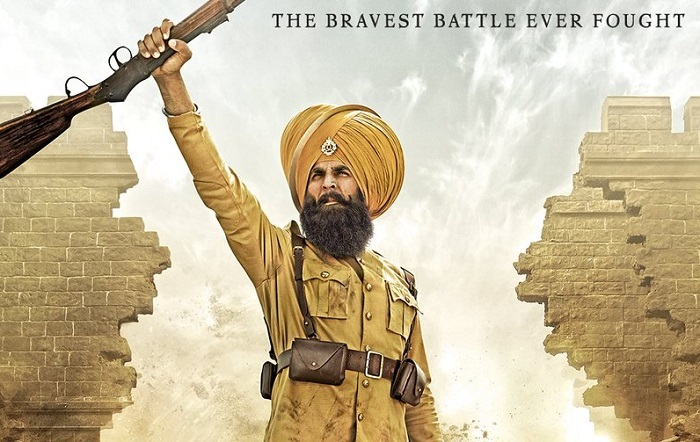 Kesari 7th Day (Wednesday) Collection Early Trends, Steady! Kesari is steady on Wednesday (7th day) at box office. In fact Wednesday trend is bit better than both Tuesday and Monday trend. Drop is much less. Drop ranges from 10-12%. At places drop is even less. Kesari opened to around 10-11% occupancy in morning shows today. Film showed reasonable growth in noon to register an occupancy of around 20%. Film further picked up from evening onward and as per latest registering an occupancy of 35-40%. Early trends suggest, film 7th day collection is heading towards 6-6.5 crore nett mark. These are early estimates from limited samples we have. Still few shows are left for the day and major reports from interiors are awaited. Final count will be higher or lower depending on these mentioned factors. Kesari 7 days total is heading towards 99.5-100 crore nett mark. So 1st week trending towards 105 to 106.
the trend is not good but still better than it looks from early estimate from yesterday. now the movie will cross 120cr. Lifetime should be around 125 crores. Haters Ki jalte Dekh kar Acha Lagta h. But don't worry koi kuch bhi kar le ye movie 150crore cross karegi hi. 15 din mein 150 ho jayega. 200 crore bhi hota agar haters or Muslim ye movie dekhte. Sirf akki fans k alawa or kisi Muslim ne ye movie nahi dekhi h. Jabki movie mein dhram k upper achi beaten Batai h. Or ye bataya h k kuch log dhram or jihad k naam par logon ko gumrah karte. Is nafrat se bhar niklo haters or Plz ek baar movie dekho or fir sache dil se batao Kya movie must watch nhi h.